Talk with Lewis Gordon and Jane Anna Gordon and you will find quickly that relationships matter. Not just between two scholars who pursue different disciplines and find common ground for collaboration, but in the world at large. 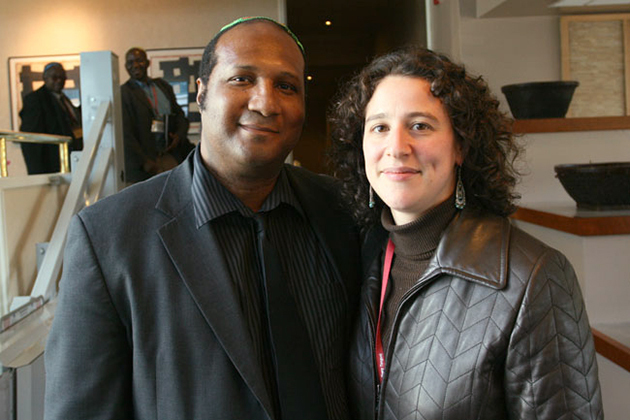 The two scholars, who are married, will arrive in Storrs next summer from Temple University where Lewis, a renowned philosophy professor, and Jane, a political science theorist who is a prolific writer, independently teach and conduct research but also have collaborated as the leaders of the Institute for the Study of Race and Social Thought and the Center for Afro-Jewish Studies. They each raise issues across multiple disciplines in seeking to find answers on what they consider fundamental questions about race, society, and how human beings relate to each other. Lewis Gordon, whose mother is Jamaican of Sephardic and Mizrahi descent, focuses much of his writing on race and racism, Africana and black existentialism and postcolonial phenomenology. Jane Gordon, whose family is Jewish and who grew up visiting family living in apartheid South Africa , specializes in social and political theory, contemporary slavery, and black political thought. His work as the founder of the Second Chance Program at Lehman High School in the Bronx (N.Y.), which focused on teaching children thought to be too troubled and difficult to educate, led him to pursue his Ph.D. to further examine human potential. The students at Lehman – thought to be so difficult to teach – succeeded in large part because of the confidence instilled in them through the program.